So this is my first MOC to be posted on Eurobricks. It is almost a year old, but yet still one of my favorites. 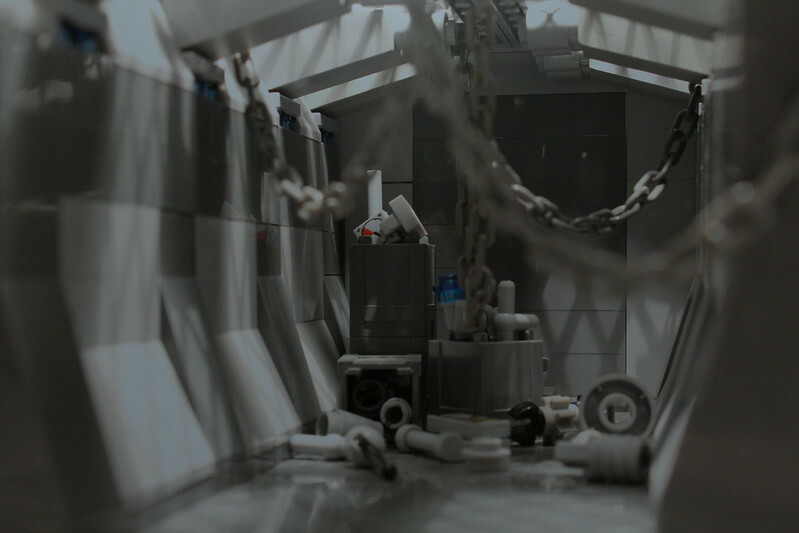 It is just a basic spaceship corridor with some random pieces of junk throughout. Reminds me of the video game Space Hulk. Neither have I, but I have given my younger brother a lot of tactical advice from time to time so that he doesn't toast his own men with flamethrowers and set himself up for ambushes. All that aside, this build definitely looks like it has a story behind it. Now that would be interesting. Very nice atmospheric corridor and lighting. I would suggest making the wall at the far end a closed blast door instead - to give the impression we're only seeing part of a much larger ship or moon base. Maybe some piping on the walls too. Good job though. 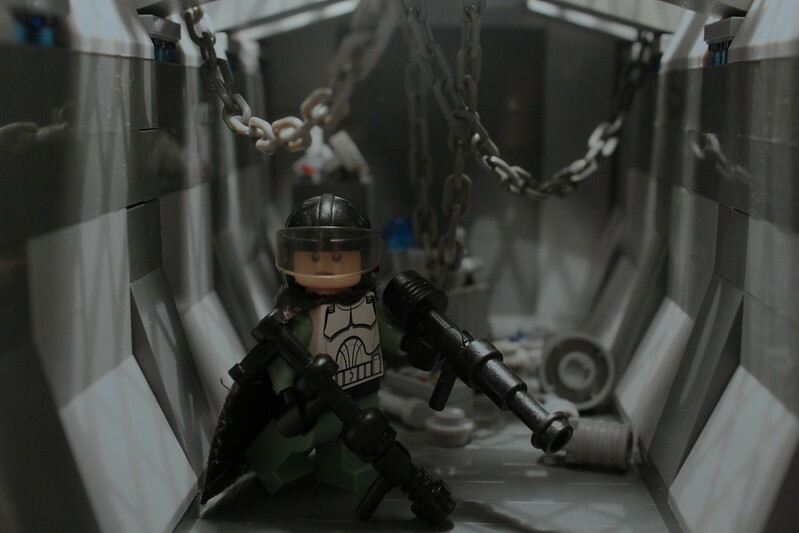 Great lighting and photography, and the MOC itself has a nice, almost claustrophobic, ambience. Very intense atmosphere. I too feel there is a story here somewhere. Nicely done. Excellent suggestions. Thanks for the input! Lots of comment about the atmosphere. I like chains and lighting. Ha, I forgot to mention the chains, they were actually my favorite detail I think. They really help create an icky, claustrophobic vibe Maybe it's just the memories of the first scene were you see the creature in Alien And they catch the light in a beautiful way! The atmosphere of this MOC works very well. I've played around with corridors, but never satisfied myself. Thanks for sharing this nice work!